Saturday, Feb. 9, 9 a.m. to 2 p.m. at Connie Hudson Regional Senior Center (3201 Hillcrest Road, Mobile). Bring your children to make handprint tiles, which will be installed in the entry wall for the new splash pad coming soon to the park. Tiles cost $20, proceeds benefit the project. Monday through Thursday, Feb. 4-7, Mobile Public Library, Toulminville Branch. Join special guests and community partners in celebrating black heritage in reading, poetry, storytelling and songs. Call 251-438-7075. Wednesday, Feb. 6, 10:30-11:30 a.m., “Winter Garden Walk” — Join Bellingrath’s horticultural staff to learn about interesting winter blooms and ornamental vegetables. Wednesday, Feb. 13, 10:30-11:30 a.m., “All about Camellias” with Seth Allen. To register, call 251-459-8727 or email bellingrath@bellingrath.org. Thursday, Feb. 7, 5:30-7:30 p.m. Parents of students in grades 9, 10 and 11 in Baldwin County high schools are invited to an open house offering students an opportunity to pursue career training in aviation, electrical and instrumentation, welding and millwright. The Academy at the Fairhope Airport is located at 8600-B, County Road 32, Fairhope. Thursday, Feb. 7, 6 p.m. at the Fairhope Public Library. “A History of the Longleaf Pine and Fire in Baldwin County and the Gulf Coast” by Patrick Waldrop. Thursday, Feb. 7, 6:30 p.m. at Bernheim Hall at the Ben May Main Library in Mobile. Documentary film screening of the life of Chris “Champ” Napier” of Prichard. Visit chrischampnapier.com. Wednesday, Feb. 7, 4-6 p.m. at LuLu’s in Gulf Shores. If you have a child in K-6 and want to teach them about owning their own business, visit lemonadeday.org/coastal-alabama. Thursday, Feb. 7, 2-3 p.m., Fairhope Museum of History. Guest speaker Michael Hutchinson, Civil War historian and gunner for the Grand Hotel’s afternoon firing of the cannon. Call 251-929-1471 or visit fairhopeal.gov. Friday, Feb. 8, 10 a.m. to 4 p.m. Visit gatoralleyfarm.com. Saturday, Feb. 9, 10:30 a.m. at Dauphin Island Sea Lab. Families with young children are invited for exploring science, technology, engineering and math through stories and making projects together. Visit disl.org. Saturday, Feb. 9, 9 a.m. at Historic Blakeley Park. An annual showcase of Alabama authors. Special cruise to Bayou Canot, scene of the derailment of the Sunset Limited and the last documented importation of African slaves into the U.S. aboard the Clotilda. Tickets $25 for adults, $17 for kids 6-12. For reservations visit blakeleypark.com/events. Saturday, Feb. 9, noon to 4 p.m. at Mobile County Training School Gymnasium, first annual “Spirit of Our Ancestors” festival bringing together descendants of slaves on the Clotilda. Contact Joycelyn Davis at joycelyn.davis@aol.com. Sunday, Feb. 10, noon. Shop local farmers, crafters and bakers; local food and live music. 1757 Government St., Mobile. Tuesday, Feb. 12, 5 p.m. in the USA Student Center Terrace Room. Reading by author Jamie Quatro. Reception and book signing to follow. Free and open to the public. Through Feb. 18, Gulf Shores Welcome Center (3459 Gulf Shores Parkway) offers free educational lectures. Lectures are approximately 60 minutes. 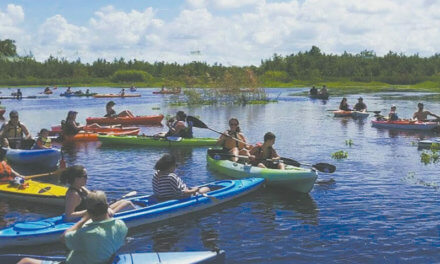 For complete list, visit gulfshores.com. Mobile Mystery Dinner, Friday, Feb. 8, and Saturday, Feb. 9, 7 p.m. at Renaissance Mobile Riverview Plaza Hotel. Advance reservations required; email Lisa.russell@ernaissancemobile.com. Thursday, Feb. 14, 6:30 p.m. Catered dinner including beverages, spacious dance floor and reserved seating. Tickets available via eventbrite.com. Call 251-432-8863 or 251-604-8381. Eastern Shore Lanes will host “Love and Bowling Fundraiser” for Ozanam Charitable Pharmacy on Tuesday, Feb. 12, 6-9 p.m. at 10460 Eastern Shore Blvd., Spanish Fort. $35 for singles, $50 for couples, $22.50 for a team of four or more. Visit Ozanampharmacy.org or call 251-432-4111, ext. 109, or 251-721-0458. Thursday, Feb. 14, 6:30 p.m. at The Pillars. Benefiting the Pediatric Congenital Heart Center at Children’s of Alabama. Enjoy a date night of faux casino games, food, complimentary beer and wine, live music and receive $1,000 in “fun money” to play blackjack, craps and roulette. Tickets available at give.childrensal.org/allinforheart. For the 16th year, Baldwin Bone & Joint is hosting a community project to collect shoes for Wings of Life homeless outreach programs and for, the first year, Family Promise of Baldwin County. Gently used athletic shoes accepted through March 23. For more information and drop-off locations, visit baldwinboneandjoint.com. Wednesday, Feb. 6, 5:30 p.m. at Haint Blue Brewing Co. (806 Monroe St., Mobile). Learn about the artistry involved in the revitalization of the Crystal Ice House. Complimentary appetizers. Thursday, Feb. 7, 7 p.m. John Allen Memorial Scholarship Concert at Orange Beach Event Center and Tuesday, Feb. 12 , 7 p.m. at Fairhope Civic Center. www.baldwinpops.com. Thursday Feb, 14, 7 p.m. at Living Word Christian Center International Ministries (1401 Government St., Mobile). The Watoto Children’s Choir will share their personal stories and perform music of Uganda. Free admittance. Visit lwccim.com or call 251-471-2334. Local artists and authors are collaborating to make a film based on the novel “Beyond the Myst: Lost Years of King Arthur.” Open auditions are Feb. 23 at the Copper Kettle Tea Bar in Foley, 2-5 p.m. All ages and backgrounds. For info email Shari Prestwood, wolf_kyn@yahoo.com. Sunday, Feb. 10, 10 a.m. Join Sway Downtown Yoga Studio as they roll out the mats for Sunday Yoga Brunch. $10; participants receive 20 percent off food and nonalcoholic beverages. Iron Hand Brewing, 206 State St. (Mobile). Mitternight Park Pool Club (off University and Moffett in Mobile) is open Wednesdays, 6-8 p.m., for those seeking a wholesome place to play pool and bumper pool. Instructor Dwayne Rapp will be there to help any beginners. Call 251-463-7980 or 251-208-1610. Laun Park Table Tennis Club (off Cottage Hill and Demetropolis in Mobile) is open Mondays and Tuesdays, 6-8 p.m., for all interested in playing table tennis. Coach Mike Ho is available to play or help with beginners. Call 251-463-7980 or 251-208-1610. Stott’s Studio (off Cottage Hill and N. Demetropolis in Mobile) is offering Piyo Stretch (relaxing Pilates and yoga), Piyo Tone (toning Pilates and yoga plus weights). Call 251-463-7980 or 251-208-1610. Bingo every Tuesday and Thursday, 1-3 p.m. Open to the public. Via Health, Fitness, Enrichment Center, 1717 Dauphin St. in Mobile; 251-478-3311. The second and fourth Sundays of each month, 8-10:30 p.m. at Dreamland Skate Center (5672 Three Notch Road, Mobile) with DJ Beaux, $5. Call 251-661-6997. Thursday, Feb. 7, 9-11 a.m. Learn about the power of YouTube video and how you can use video content to promote your business, improve marketing efforts and build a loyal audience. Workshop shop is free; registration is required and space is limited.